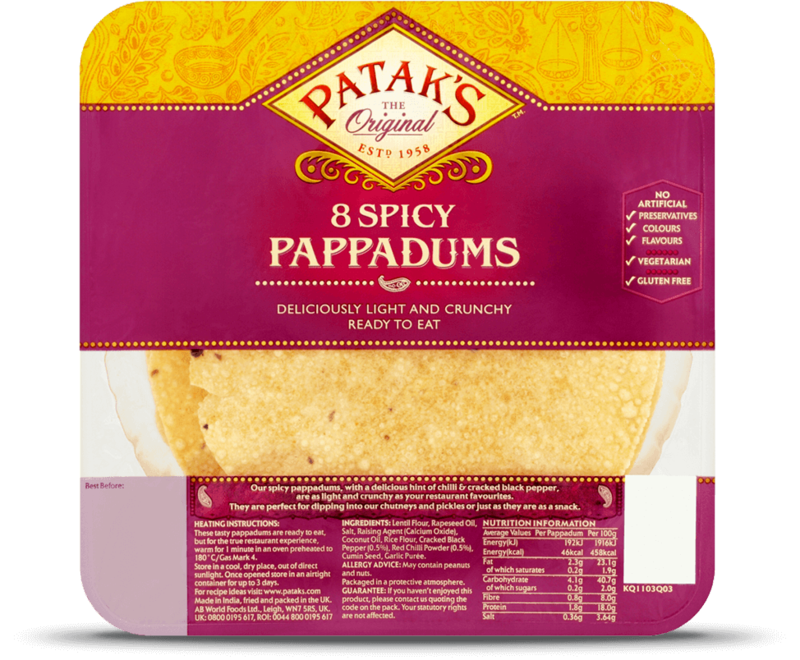 Our spicy pappadums, with a delicious hint of chilli & cracked black pepper, are as light and crunchy as your restaurant favourites. They are perfect for dipping into our chutneys and pickles or just as they are as a snack. Lentil Flour, Rapeseed Oil, Salt, Raising Agent (Calcium Oxide), Coconut Oil, Rice Flour, Cracked Black Pepper (0.5%), Red Chilli Powder (0.5%), Cumin Seed (0.5%), Garlic Purée. The perfect side dish to liven up any meal, this traditional potato and spinach recipe is simply delicious with the warming flavours of our Jalfrezi Spice Paste. This Bombay classic is traditionally spiced with garlic and coriander, and goes perfectly with a Saag Masala or chicken dish. It's delicious and so easy to make with our Tikka Masala Spice Paste.